Kamal Haasan has been conferred with the title of Chevalier de l’Ordre des Arts Arts et Lettres (Knight in the National Order Arts and Letters). The iconic film maker will be presented with the medallion at a special event to be be held in Paris. The Ordre des Arts et des Lettres (Order of Arts and Letters) is a title awarded by the French Minister of Culture, to those who have made significant contributions to the field of arts, literature, etc. Many from the film fraternity experessed their joy on the legendary filmmaker bagging the honor. Actor Prasanna tweeted "CHEVALIER Kamalhassan. What an honor. As a fan it's a great moment for me. Congrats @ikamalhaasan sir". Director Venkat Pradhu joined in to congratulate the film maker, with his tweet stating "#Chevalier @ikamalhaasan yaaaaaaaay". Vikram Prabhu also passed on his wishes by tweeting "Wishing @ikamalhaasan sir on being honoured with the #Chevalier award! A great honour to a great Indian Artist." Other Indian recipients of this honour in the past include: Sivaji Ganesan, Lata Mangeshkar, Anurag Kashyap, Shaji N. Karun, etc. Behindwoods congratulates Kamal Haasan for the prestigious title. Kamal Haasan to have superpowers in his next? Diwali 2016 - Front Runners? This page hosts a weekly slideshow related to Tamil movies. Each slide includes a picture and some description about that picture. All the slides will have a recurring theme. People looking for actress stills, actress images, actor stills, actor images, movie stills, movie images, and other interesting topics, relevant issues in Tamil cinema will find this page useful. 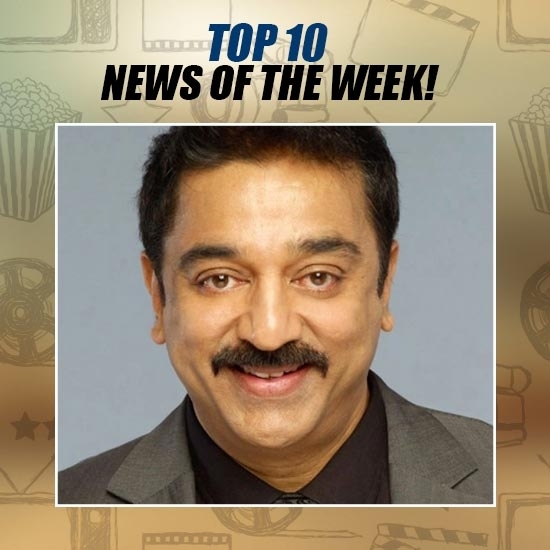 KAMAL HAASAN BAGS A PRESTIGIOUS FRENCH AWARD | Top 10 News of the week (Aug 21 - Aug 27).